AMMAN — The head of the Maronite Church in Lebanon has demanded that world leaders help re-build Middle East countries torn apart by internal and antiterrorism wars. Patriarch Moran Mor Bechara Boutros Al Rahi called on Arab leaders to combine efforts, stand together and overcome all differences in order to maintain Arabs’ historical role and civilisation. Rahi told The Jordan Times in an interview on Wednesday that the reason for the Christian emigration from the Middle East was war. He said that at one point in the recent history of the region, the world turned a blind eye to the conflict and all ensuing miseries facing people in the Middle East. He added that many of those countries, out of greed, sold weapons and supported violence and a fundamentalist movement that caused war. The religious leader emphasised the importance of Christians remaining in their homeland and encouraged those who emigrated to return to their roots. As for Arab Christians, mainly those who emigrated with no intention to return, Al Rahi said that they are facing two wars. He said that emptying the Middle East of the Arab Christians has its consequences on the region, and the countries that opened their doors wide encouraging emigration did more harm than good. 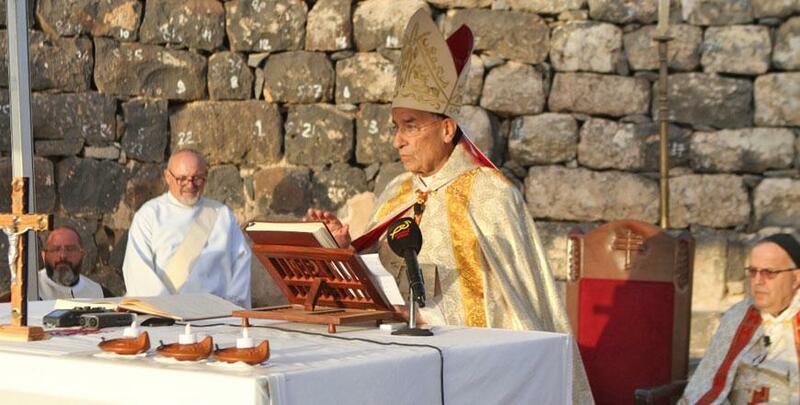 The Maronite Church leader said that when discussing the Arab Christians, one should not refer only to individuals but also to the many Christian churches, institutions that serve their communities, and patriarchates and parishes. Underlining their importance, Rahi described the Arab Christians who remained on their native land as “yeast” that will sustain their identity and contributions to their countries. He said that in order for those who emigrated to return to their homeland, war has to stop and stability has to prevail. Diversity is what makes the Middle East a special place, said the patriarch, adding that Christians and Muslims have for centuries shared a culture and contributed jointly to human civilisation. To maintain such a heritage, they should stand shoulder-to-shoulder against any attempts to drive wedges into their unity. Rahi was in Jordan for a four-day visit upon an invitation by Prime Minister Omar Razzaz.